1. Improve access to healthcare + reduce morbidity for 14,000 vulnerable children aged 0 to 15 years in the Nkhotakota district of the central region of Malawi. 3. Ensure all children under the age of 5 receive vaccination against Polio, Diphtheria, Tetanus and TB. 4. Train 100 village volunteers in the delivery of basic healthcare. There is a vacuum of knowledge on key issues; the programme will ensure villagers are empowered through education that is locally appropriate on the subjects of HIV/AIDS, nutrition and hygiene. Key markers to measure success will be to monitor the incidence of i.e. malaria and bilharzias. The Village Health Care Volunteers will be trained in basic health care and UNICEF have agreed to issue each of them with a "home based care" medical kit. This will ensure that in every village there will be someone able to deal with minor ailments, vitally ensuring that they do not lead to major medical problems through neglect. 1 in 4 children will die before reaching their fifth birthday in Malawi. The gravity of the problem was initially unearthed by the WMF (World Medical Fund) Orphan Support Project field workers and members of the UK team when they visited the remote villages to deliver the basic essentials of life, i.e. clothing, blankets, seeds and fertiliser to the orphaned children. They discovered this vulnerable, marginalised group of people who were cut off from access to health care and immunization because of the remoteness of where they lived. On every visit, we would take at least two seriously ill children back to town to hospital. The WMF team would always take the sick children to hospital and pay for their treatment at the nearest mission hospital; over 200 children benefited in 2002. There had to be a better method. There was also a total vacuum of knowledge on the subject of the key issues of HIV/AIDS, hygiene, reproductive health, nutrition and public health in those villages. · At a government hospital treatment is free however it is unlikely to have supplies of the appropriate medicines . At a Mission hospital, treatment and prescription are not free - the child is unlikely to possess any money, especially if it is one of the marginalised 14,000 children who have been orphaned by the HIV/AIDS Pandemic that has devastated this region. 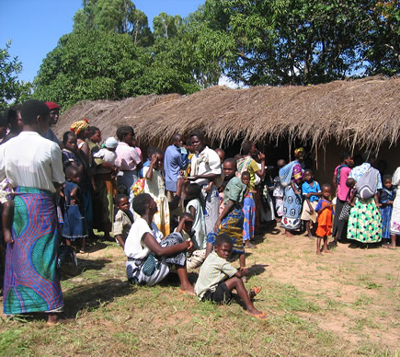 In December 2003, WMF launched a pilot programme of "children's mobile clinic" with the essential aim of delivering free and prompt medical care right where it is most needed, in the remote villages. Our target group would be the AIDS orphans of Nkhotakota district in the central region of Malawi. We knew the demand for medical care would be great but the reality shocked us; every day our clinic would go out an average of 100 children are treated. The most common illnesses we see are malaria, eye and ear infections, bilharzias, impetigo and anaemia. 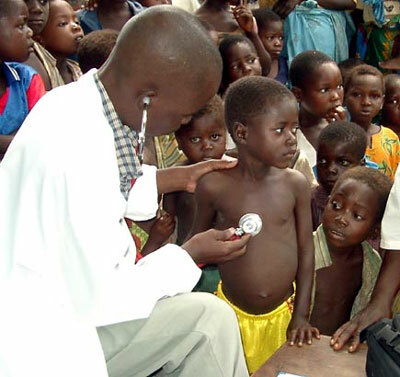 Malnutrition is common, especially kwashiorkor (protein deficiency) and Pellagra (vitamin B group deficiency); in Malawi 45% of all under -five year old children suffer from moderate to severe stunting. Most of the children we treat had never received any medical care before the start of our clinic and a lot of the problems we see are neglect related exacerbated by the poor conditions they live in. Malaria remains the first cause of death in Malawi; yet, if caught early and with the right medicine it is easily and cheaply curable. WMF is registered as a full medical facility with the Malawi Medical Council; this requires compliance with a range of issues that include staff clinical skills, registration of all clinical staff, defined areas of expertise, storage of medicines and record-keeping. The pilot project was aimed primarily at the AIDS Orphans living in 3 of the 6 Traditional Authorities in the Nkhotakota district. However, in practice, it is impossible to deny treatment to the other sick and vulnerable children in the remote villages. These children are at the bottom of the pile - in a region of subsistence farmers and fishermen only the " breadwinner" is regarded as worth treating when sick. The other 3 T/As are still without access to medical services and our aim is to launch a mobile clinic to cover these 3 T/As. Privately owned pick-up trucks that act as unlicensed public transport; always grossly overloaded and usually poorly maintained and accident prone. 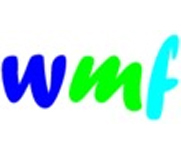 Since 1997 WMF monitors the pharmacy stock levels of the local Government and Mission hospitals every three months and the results are unpredictable. Their stocks of medicine come from two sources, by donation which can lead to large surpluses of rarely used or inappropriate, because of the need for sophisticated monitoring, drugs - and through order from Malawi central medical stores. The latter is dependent on funding being available which is often not the case. In the recent past unfortunately there have been widespread illicit sale of medicines from hospital pharmacies; these usually end being resold by unlicensed dealers up in city markets.